CANTON, OH -- The Hall of Fame game between Green Bay and Indianapolis has been canceled because of poor field conditions. 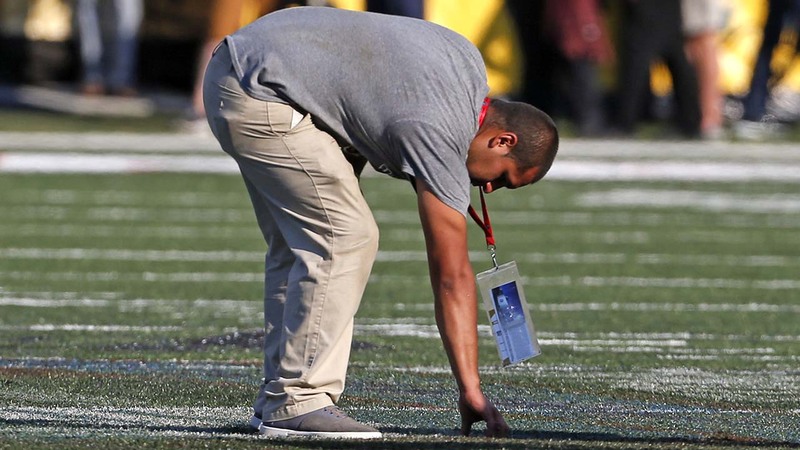 Hall President David Baker made the announcement Sunday after discussing problems with the turf with both teams. He said it was a safety issue and that all fans would be fully refunded for ticket purchases, which will cost the hall several million dollars. "This is a hard decision, but we know it is the right decision," Baker said. "In some respects a hard decision because of the impact it has. This is an important game to the people in Canton." The NFL said in a statement: "We are very disappointed for our fans, but player safety is our primary concern, and as a result, we could not play an NFL game on this field tonight." Workers used a variety of equipment to smooth the artificial surface. Rubber pellets used in the turf came loose and were scattered in several spots and needed to be removed, as well. This was not the first cancellation of an NFL exhibition game - the Hall of Game contest was not played in 2011 because of the lockout - but it was the most high-profile preseason match to be called off. Baker said the Hall's class of 2016 would be introduced to the crowd, and the halftime show featuring Lee Greenwood would be held. Both teams walked onto the field at 8 p.m., moments before the game would have kicked off, and the players saluted the crowd. Thousands of Packers fans came to Canton to see Brett Favre inducted Saturday night, and many returned Sunday to Tom Benson Hall of Fame Stadium. They sat watching highlights of Favre's speech and of Friday night's concert featuring Tim McGraw before they were told about the game's cancellation.